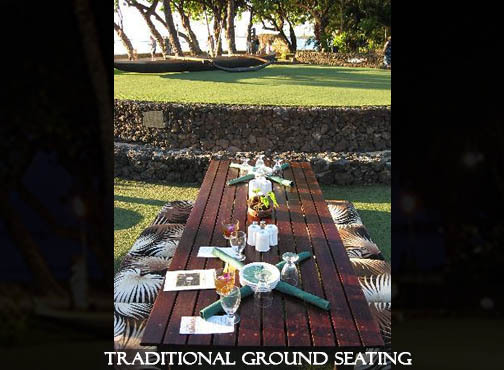 The Old Lahaina Luau offers two distinct types of seating. 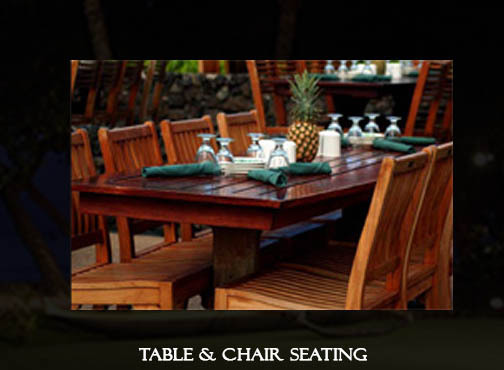 The very first row is “Traditional,” where you will be seated cross-legged at low tables on mats and cushions. These seats are great fun and considered “local style” with optimum stage presence. Directly behind, is the conventional dining “Table & Chair” seating. With three tiered levels, this selection of seats offers superb viewing, theatre-style and no looking through heads.” Customary table & chairs makes this choice of seating extremely popular and very comfortable. Highchairs are available upon request. Tables accommodate eight guests. All seats are situated in a crescent shape (half-circle) around the performance stage which is slightly elevated for a great performance presentation. 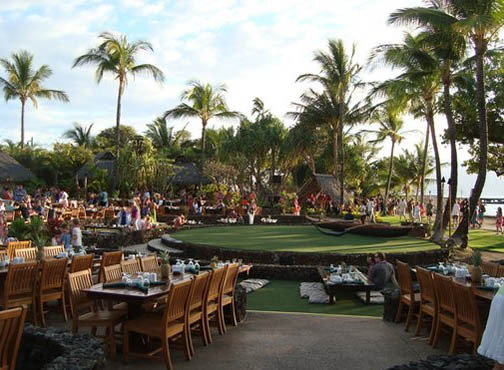 The beautiful neighbor islands and a legendary Hawaiian sunset are your backdrop for a perfect island setting.